Align the manual valve to the detent lever assembly.Removing the manual shaft assembly pin will aid in aligning the manual valve to thedetent lever. 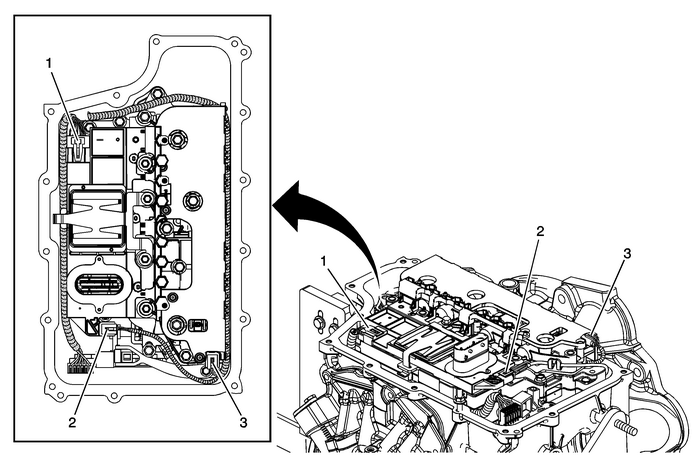 Install the manual shaft pin after the valve body assembly is installedusing DT 41229 pin installer, if it was not installed previously. Refer toManual Shift Detent Lever with Shaft Position Switch Assembly and Park Pawl ActuatorRemoval. Note:Ensure proper alignment of the detent assembly to the detent lever assembly with positionswitch while tightening the bolt. 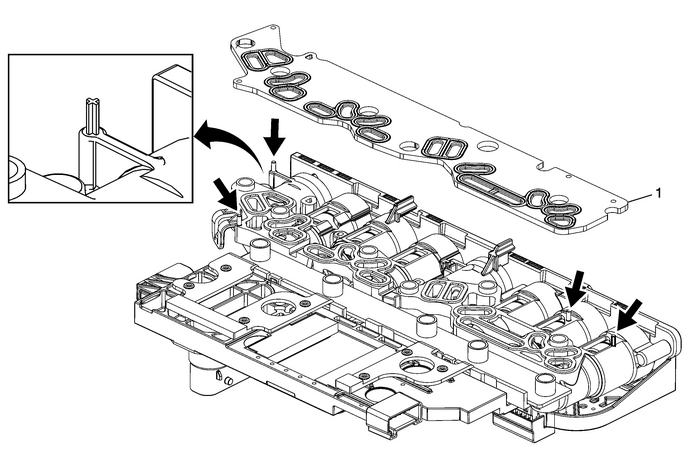 The detent assembly can move and hit the valve bodyassembly that could cause improper engagement with the detent lever assembly. 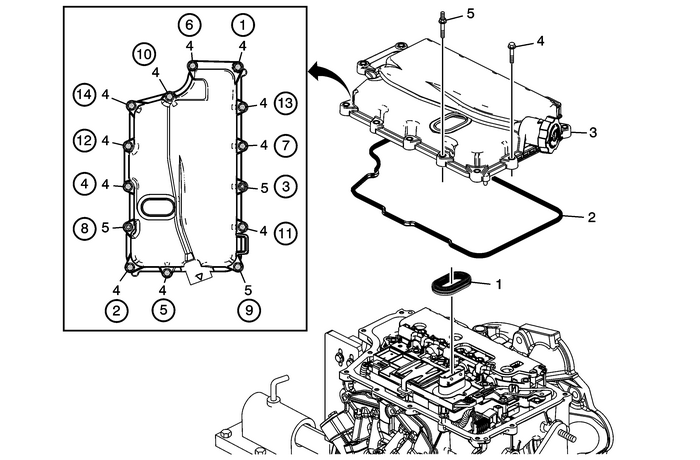 Note:Install a NEW filter plate to prevent fluid leaks past the oil seals. Install all bolts before tightening, then tighten in sequence to 12-Y (9-lb-ft). 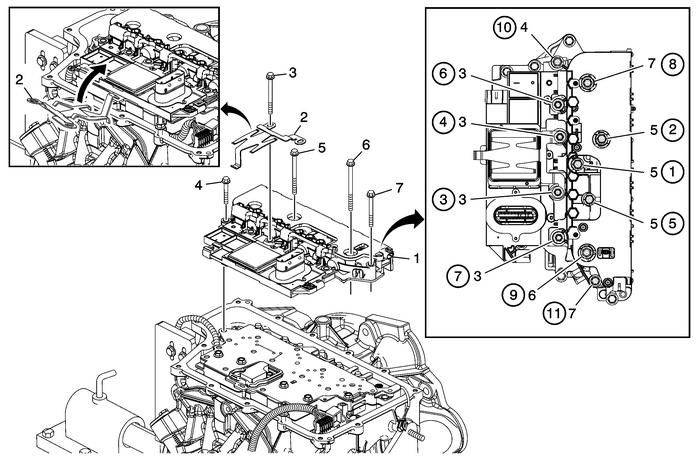 Caution:Do not drop the control solenoid with body and transmissioncontrol module (TCM) valve assembly. 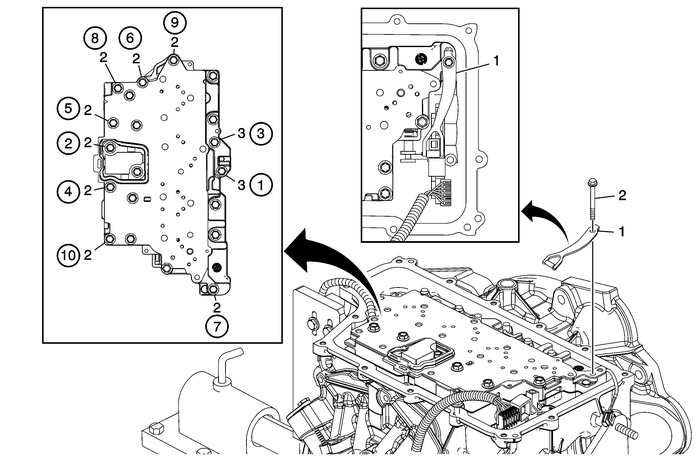 Internal damage can occur ifthe control solenoid with body and TCM valve assembly is dropped.DO NOT reuse the control solenoid with body and TCM valve assemblyif it is dropped. 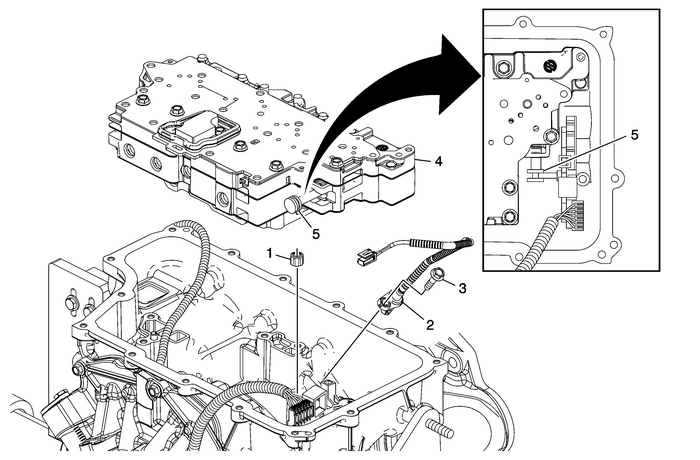 If the control solenoid spring is missing or improperly installed, the TCM may overheatcausing the TCM to shut down. The transmission will default to 3rd or 5th gear.Insert tab of spring into slot on spacer plate, then rotate into position. Route all wires as shown. Note:Holes in the seal must face down.